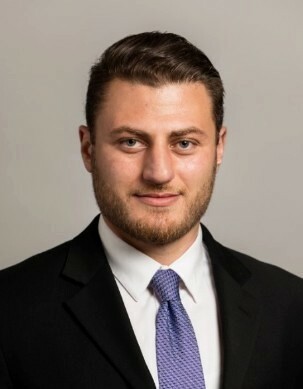 Aram graduated from UC Berkeley with a BA in Political Economy in 2012. He ran and consulted on municipal election campaigns in Los Angeles from 2012 to 2013. He worked as deputy to a Los Angeles City Councilman from 2013 to 2017. Aram has a passion for history, politics, and current events. He’s particularly interested in the ideas concerning the 1st amendment and freedom of speech as it is viewed both politically and socially. You have spent a good bit of time working in local government in Los Angeles. How do you think capitalism is perceived by local municipal officials? How can free market principles be used to address the needs of modern municipalities? In terms of addressing some of the needs of modern municipalities, I think two of the most pressing issues we have are employment and housing. Local governments can do a lot more to ease the burden of city-imposed regulations on existing and new small businesses to allow for job creation. As for housing, many municipalities are facing problems with increasingly unaffordable rents. In Los Angeles, this issue is severe and is due to a housing shortage. The problem here again comes down to regulations. Stabilizing rents can be achieved if municipalities made it easier (or less difficult) for developers of all sizes to build and increase the housing stock. In your experience, what are some areas where local governments and the business community share common ground? What are some areas where their common interests diverge? Fundamentally, both groups have many of the same interests—revenue generation, public safety, attracting talented people, etc. However, the road to achieving these goals diverge when you take into account local officials’ responsibilities to residents or reliance on special interest groups. You have a particular interest in First Amendment and free speech issues. What is your opinion of the state of free speech in today’s culture? I believe that the right to unrestricted free speech is the bedrock of any truly free and democratic society, which is why I am deeply concerned with the current state of free speech in our country. We currently live in a state of self-imposed censorship in many areas of society, whether it’s on social media or across colleges and universities. This is why I think the Adam Smith Society is such an important platform, through which we can promote freedom of expression for everyone across the political spectrum.